The map shows the location of each university. 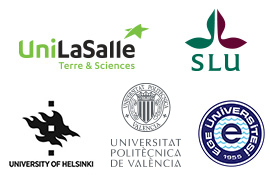 UniLaSalle is the coordinating institution of the emPLANT Consortium. All these universities are highly qualified and experienced in the field of plant breeding, plant biology, seed technology and biotechnology and in teaching courses related to it. 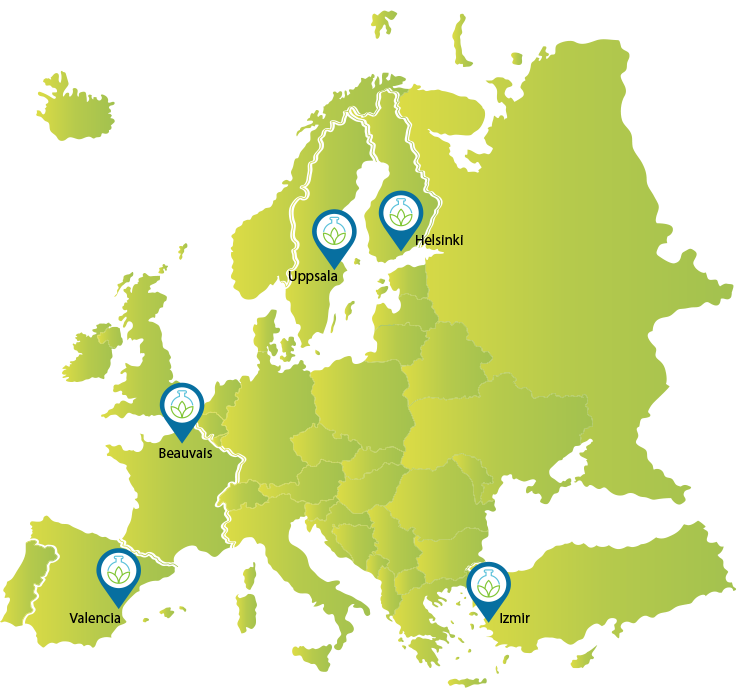 In addition they have strong links with the professionals of the seed industry and agricultural organizations in Europe and in the world as proved by the many associated partners of the emPLANT project. The lack of comprehensive international multi-disciplinary MSc programmes in Plant Breeding is the reason why a network of top-notch Higher Education Institutions in plant breeding in Europe have decided in 2015 to found the European Plant Breeding College via an Erasmus + Strategic Partnership so as to create a knowledge hub in the field of plant breeding to further improve the employability of their Master students, exchange and implement innovative teaching methods, share best practices, initiate a dialogue with the seed industry on the skill sets of future plant breeders and develop joint curricula in the field of education in plant breeding on Master level. Based on this experience and on several years of preparatory work, this group has now come together to make the next step and to create an Erasmus Mundus Master Programme in Plant Breeding named emPLANT.